Focused more on bowing this week, picked out another song while trying to learm a different song, yet again. My pastor wants me to play at church sometime soon! I wanna learn some variations and ornamentations for Amazing Grace. songs: Come Thou Fount of Every Blessing, Angelina Baker, Be Thou My Vision, Amazing Grace. Thanks for all the help and critique so far! I really do appreciate it! Oh.. I would have been freaking with the BEE!! I second Coolpinkone, you are getting better and better every time I hear you play. On Come Thou Fount of Every Blessing, try and see if you can use 75-85% of the bow when you are making your single bows. I think your tone will greatly improve if you use longer bows. When you come to difficult passages your bowing stroke tends to shrink, when you find yourself trying to think, just keep that bow moving. Great job. Intonation sounds the best I've heard to date. I agree with fiddlinsteudel, you need to use more bow, more dynamics. The longer the bow strokes the better your violin will sound. Second, I only understood a few words of what you were saying. 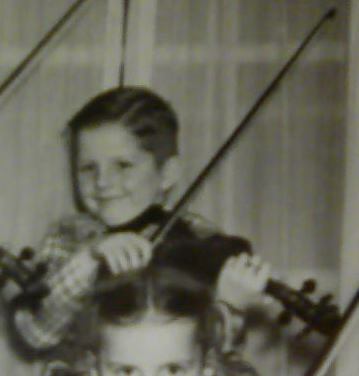 Most of the time your mouth was covered by your arm your elbow or you turned your head away from the camera / mic while you were putting your violin away. But your playing has definitely improved every time you do a video. I've taken y'alls advice and working on bowing. I'm not very good with dynamics yet, but I'll start working on that as well. @Fiddlestix Yeah, it was a little windy that day. I need to work on not turning away from the camera while I'm talking too.